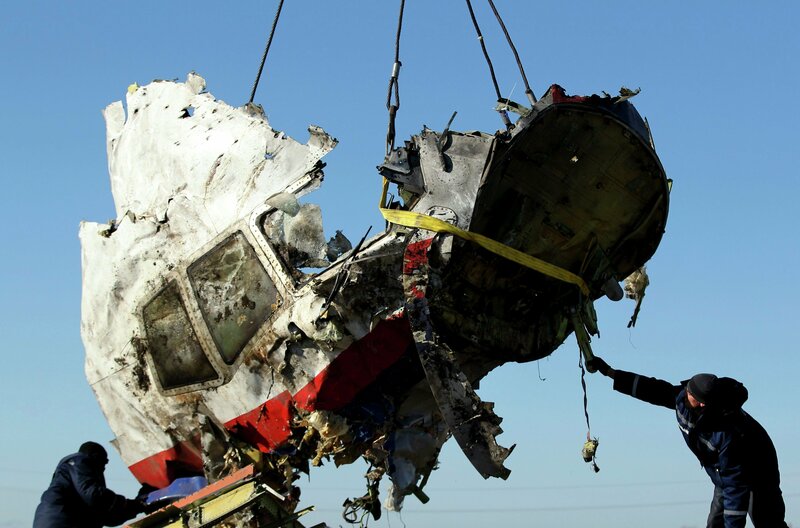 Is US Hiding Truth About MH17 Tragedy to Wage Information War on Russia? Why hasn't the US intelligence community disclosed the information which could shed light on the MH17 crash? If the past is any indication, the US intelligence community largely remains silent because it has no evidence to support what investigative reporter Robert Parry calls the blame-the-Russians approach: the allegations that the Malaysia Airlines Flight 17 was shot down by a Buk missile fired by the self-defense forces in eastern Ukraine. The West has ignored all the data and evidence Russia released since the tragedy countering these claims. In an article titled "MH-17 Mystery: A New Tonkin Gulf Case?" the US journalist pointed to similarities between the 1964 Tonkin Gulf incident, the US used to launch the Vietnam War, and the MH17 tragedy, Washington exploits to fan the flames of a new Cold War-styled standoff with Russia. The US intelligence experts did not say a word half a century ago, although they knew that President Lyndon B. Johnson and Defense Secretary Robert McNamara escalated a military operation in Vietnam under a false pretext. Nevertheless, the administration, according to Parry, did not clarify any of its misleading statements and rushed into a war that left tens of thousands of US soldiers and millions of Vietnamese dead. The Johnson administration saw an operation in the Southeast Asian country as a national security priority. To make public any information showing that the Tonkin Gulf incident did not happen "would have undermined the government's policy and damaged 'credibility.' So the facts – or at least the conflicting judgments – were hidden," Parry explained. Apparently, containing Russia is a national security priority for the Obama administration and the MH17 tragedy has been used to frame the necessary narrative. While the world was grieving the loss of 298 lives, US leadership used the opportunity to build up anti-Russian momentum, claiming it has evidence that independence supporters and by extension Moscow were to blame but it has never provided the proof. 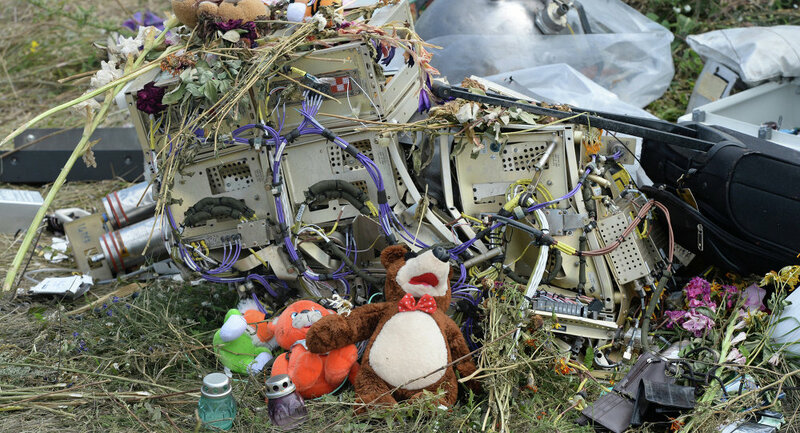 "US officials quickly seized on the MH-17 crash for its emotional and propaganda appeal – and used it to ratchet up tensions against Russia," Parry stated. "In the year that has followed, the US government has continued to escalate tensions with Russia, supporting the Ukrainian regime in its brutal 'anti-terrorism operation' that has slaughtered thousands of ethnic Russians in eastern Ukraine," he added. Five days after the tragedy the US intelligence community released what Parry refers to as a brief "sketchy report relying mostly on 'social media'." It provided no proof of the wild accusations US officials were throwing around and it also failed to mention two things, according to the journalist. Firstly, prior to the MH17 crash the self-defense forces "only used short-range shoulder-fired missiles to bring down low-flying military planes, whereas MH-17 was flying … far beyond the range of those weapons." Independence supporters did not have the weapons needed to shoot down a plane flying at a cruising altitude of 33,000 feet. Secondly, the document failed to provide data showing that Russia supplied the Buk missile battery, although it would have been hard not to detect such a delivery. Keep in mind, that US intelligence was closely tracking all activities in the Donbass region at the time. But wait, there is more. Parry pointed out that some in the US intelligence community shifted their attention to another theory behind the MH17 crash when the dominant theory did not hold up. The journalist refers to it as a rogue Ukrainian attack. "A source briefed by US intelligence analysts told me that the reason for the intelligence community's silence is that more definitive analysis pointed to a rogue Ukrainian operation implicating one of the pro-regime oligarchs," the investigative reporter said. Should this assessment be published, "the Ukrainian 'narrative' that has supplied the international pressure on Russia would collapse. In other words, the Obama administration is giving a higher priority to keeping Putin on the defensive than to bringing the MH-17 killers to justice," Parry asserted. The investigative reporter cited two major reasons why Washington did not want the information regarding the MH17 crash to come out. One is that of image, the other has to do with a foreign policy imperative. "If what I've been told is true, the reason for this silence would likely be that a reversal of the initial rush to judgment would be both embarrassing for the Obama administration and detrimental to an 'information warfare' strategy designed to keep the Russians on the defensive," Parry noted. If this assessment is sound, the implications could be far-reaching and grave. "If that's the case, President Barack Obama may be acting even more recklessly than President Johnson did in 1964. As horrific as the Vietnam War was, a nuclear showdown with Russia could be even worse," the US journalist concluded.